Description: It was in the night of the 10th of May that the first attack on the "Grebbelinie" was launched. Although the Dutch soldiers fought bravely to fight off the Germans, they weren't able to prevent them from conquering part of the Grebbeberg on the 13th of May. Only small groups of soldiers held the line, but the superior numbers of enemy soldiers were too overwhelming. The Dutch army retreated and after the bombardment of Rotterdam they surrendered. 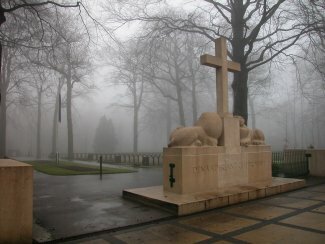 During the occupation of The Netherlands German and Dutch soldiers were buried at the same graveyard on the "Grebbeberg". After the war the Germans were reburied in IJsselsteyn. The cemetery holds the graves of some 400 soldiers killed during the battle. Since 1946 soldiers killed in other parts of the Netherlands were reburied here. 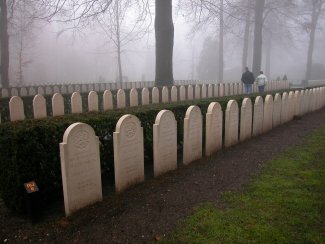 The Field of Honour nowadays contains more than 800 graves. 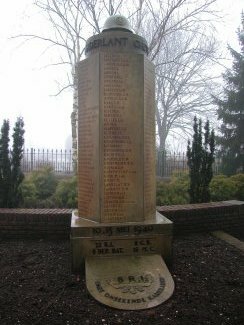 On the site you will find different monuments to commemorate the Divisions that fought here and a documentation centre. The entrance to the Field of Honour and the documentation centre. Monument for the fallen soldiers, who were never found. Taking a walk along the more than 800 graves, neatly placed in rows. 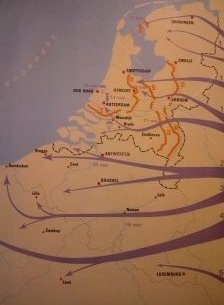 Map showing the German invasion of The Netherlands. The red lines show the Dutch defense lines. 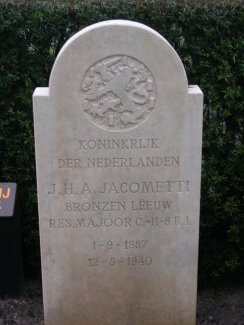 This Major received the "Bronzen Leeuw". It's a medal for brave or conductful actions against the enemy. 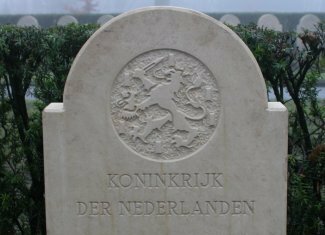 The Dutch lion on top of a headstone. 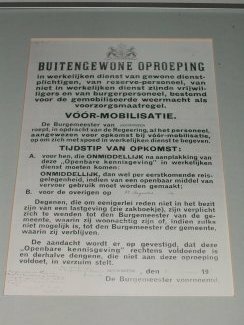 Announcement for the mobilisation in 1939. 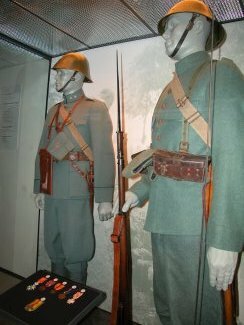 Lieutenant and soldier of an infantry division in their battledress.